bass-line: 'da. da. da. da. da. da. da. do. do. do. do. do.' x2; 'rosemary...'; release - '05. New York's purveyors of pessimism glossed with synths and strife return with a song that will pound hope into hopelessness. Banks' world-weary vocals recount the tale of mysterious, lovelorn Rosemary, steeped in the dark and anxiety-ridden territory conjured up in 'Turn On The Bright Lights' and since mastered in 'Antics'. 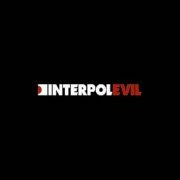 This time round, the catharsis has been replaced with a subtlety and a hook that will capture popular imagination, but without losing any of Interpol's characteristic urgency. Stripping the skin from The Psychedelic Furs, turning evil has never felt so good.